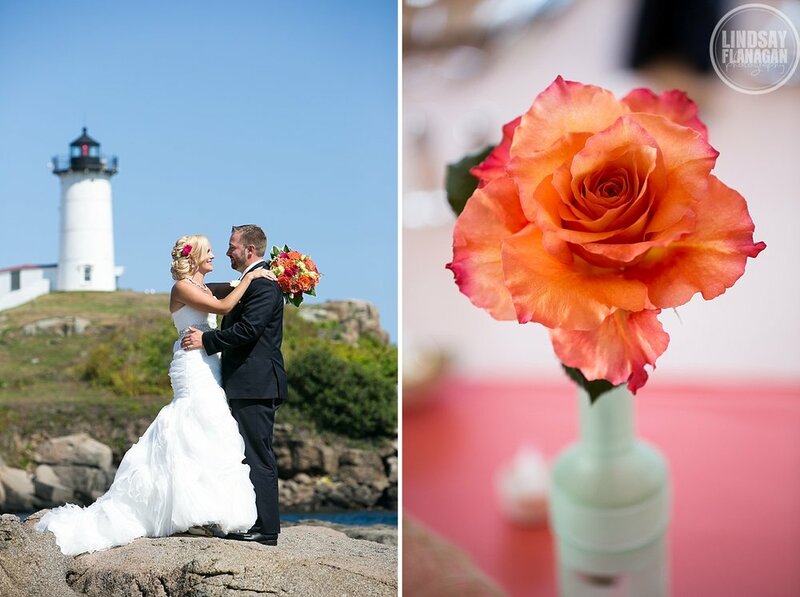 Cheryl and Jay were married last summer at the Union Bluff Hotel Meeting House in York, Maine. I met up with Jay and his groomsmen first to photograph them getting ready, then headed down the hall to photograph Cheryl and her bridesmaids getting ready. When I arrived, Cheryl was getting her makeup done by the fabulous Joanne of Joya Beauty. The Union Bluff Hotel has a beautiful lawn that overlooks the ocean for the ceremony. 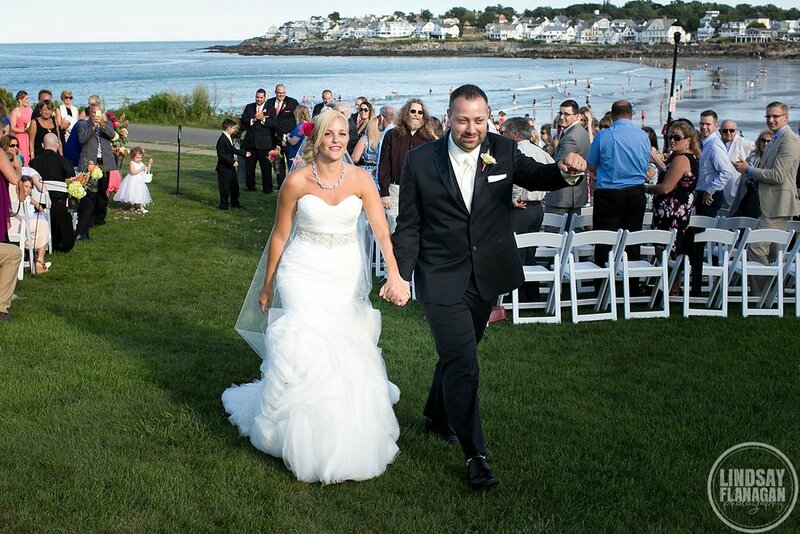 It's unreal to be literally just a few steps to the ocean while saying your vows. Cheryl was really excited to head over to the Nubble Lighthouse for some portraits with their wedding party, and also with her and Jay alone. Then we took the trolley back down to the hotel, where we walked across the street to the exterior of the arcade for some more group shots. 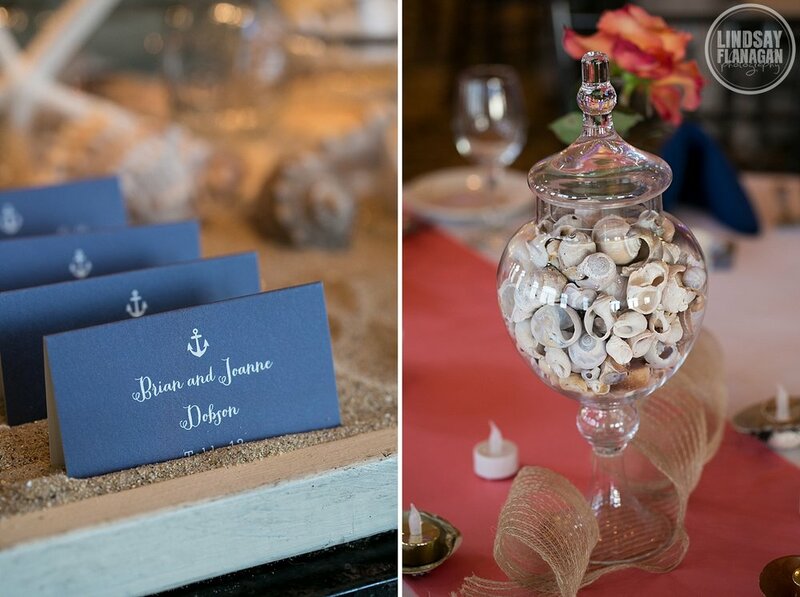 Cheryl and Jay chose to get married at the Union Bluff Hotel Meeting House because they love the beach, so they carried out that theme throughout their wedding day, including little anchors on the placecards and jars filled with seashells on the tables.